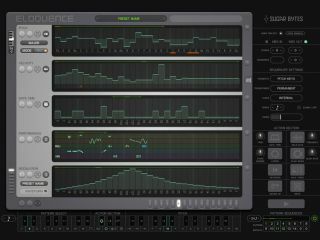 PRESS RELEASE: Eloquence is an extremely powerful and intuitive MIDI step sequencer plug-in, giving you control over just about all aspects of your favorite MIDI devices. Use Eloquence to create varied and organic bass lines, screaming leads, pulsating chords, and organic pad sounds in the studio or on stage. Eloquence is a plug-in which can be used with any major Windows or Mac VST or AU host. This includes Cubase, Logic, Kore, and Ableton Live, among others. No other MIDI sequencer plug-in offers you the ease and power of Eloquence. It is 100% MIDI compliant and therefore provides the ultimate MIDI sequencing solution. Eloquence will be released on August 15 and will cost €99/$129. Registered ERA users will receive a crossgrade offer for €69/$89.